This solid walnut (first photo), oak (second photo), or maple (third photo) wall mounted record display, is perfect for displaying the cover while your vinyl twirls. 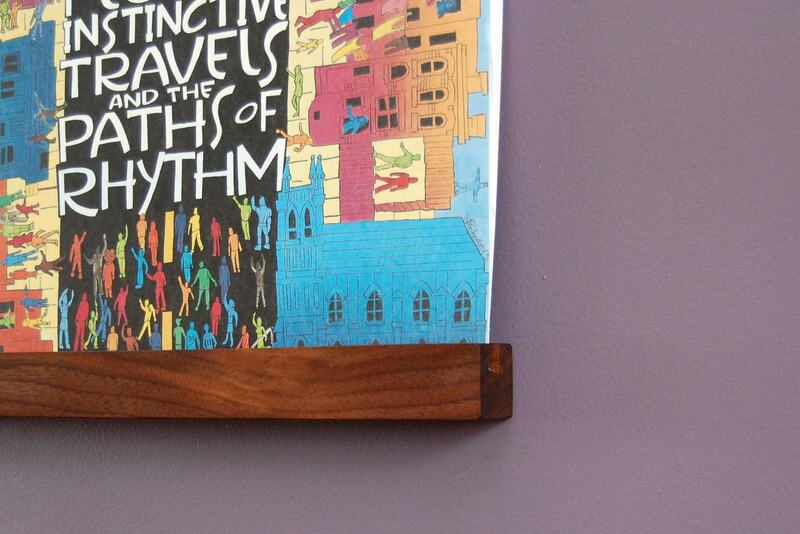 A solid wood bracket is screwed to your wall and the shelf slides onto it. A dovetailed slot on the shelf holds the wood securely to the wall seamlessly. We can make this out of any wood species you desire. Please drop us a line if you have any special requests. Thank you for this gorgeous shelf! It’s the perfect walnut color, I love the hanging template (no measuring needed), and the little personalized touch on the back was over and above. You have made me so happy, and I can’t wait to tell our our “whiskey and record” friends about you!